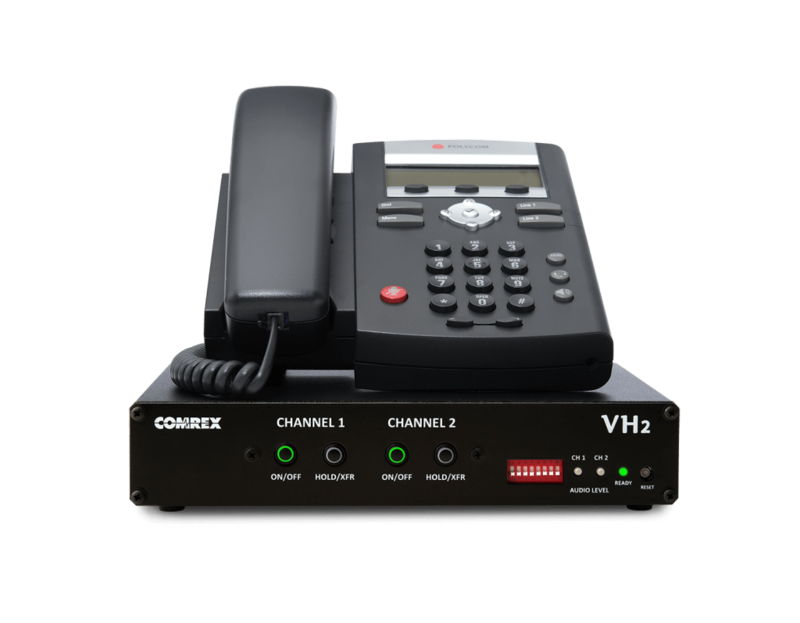 DEVENS, MA, Aug. 22nd, 2016 — Comrex has released the VH2 two-line Voice-Over-IP (VoIP) hybrid. Debuted this year at NAB, the VH2 is now shipping, and is available for purchase from Comrex dealers. A dual-line hybrid, VH2 easily interfaces two VoIP lines to studio audio gear for individual broadcast or flawless conferencing. VH2 prevents echo and distortion, and automatically adjusts caller audio to a uniform level to produce a clean and clear result. VH2 uses VoIP phone lines, which saves money for users and increases functionality. VH2 is compatible with many VoIP PBX systems. Additionally, when the PolyCom IP331, the VH2 companion phone, is configured as a VH2 extension, it’s easy to transfer calls between the hybrids and the handset with a single button push. For more information about the VH2, click here. To locate a Comrex dealer for purchasing information, click here.